Thanks for visiting In Depth Events! If you’ve made it to this page, then you are probably looking for help planning your event. We’d like to invite you to review any of these Event Planner Guides. Our experts write these articles to make sure you have a successful event, and we hope you enjoy them. Better yet, why don’t you ask us a question? We’d love to hear from you! 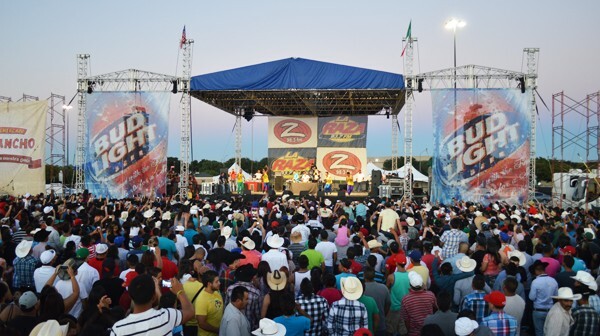 For large scale events like sporting events, large festivals and Municipal events, signage becomes a serious issue. If your event spans an area over several acres, how to you point people to the main stage, restrooms or the emergency services area? No less critical is the branding of the event and the branding of your vendor areas. At In Depth Events, we are experts at event outdoor signage using a variety of media. Read on for more information! At In Depth Events, we are experts at event outdoor signage solutions. We’ve used structures with vinyl banners as well as structures with large scale video walls. Our technicians and engineers work hard to make sure these structures are safe, look great and fulfill the needs that put them there in the first place – to inform your attendees about a specific direction, scheduled event or vendor message. At In Depth Events, we are always looking for innovative ways to really amplify the impact and create unforgettable memories for your event. We’ve recently developed a new swimming pool cover mounting technology that can transform any pool into a elegant dance floor or walkway that is completely flush with the deck surface. It’s almost as if your floating on water. You will always have the normal pool cover options available: Standard rental staging surface / Frosted pool cover surface / Clear pool cover surface… which are all great options to maximize your event. You can learn more about the standard options for rental swimming pool covers here. With the new flush mount swimming pool cover, we’re providing an enhanced option with more “WOW factor”. You can see in the image above the stunning ambiance created by a flush mount pool cover rental. This particular project was for a private event held in the Dallas area. After the party, the event coordinator stated the party was flawless and her client was extremely pleased. 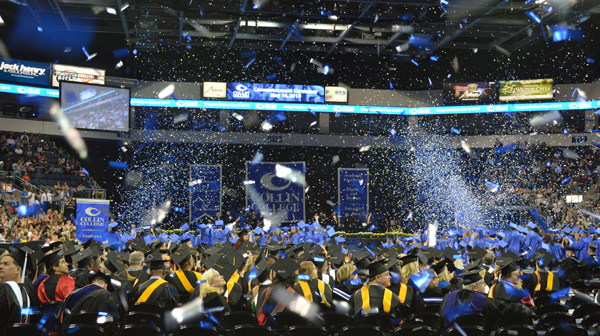 Whether it’s for a community college, a high school, a four year university or even a vocational school, commencements are an important transition for students, instructors and attendees. 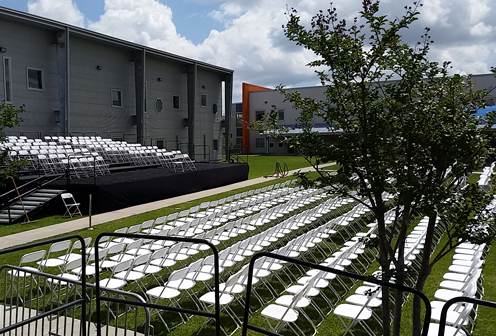 Identifying specific needs for your graduation stage rentals is the first step in making sure the graduation ceremonies go smoothly for everyone. 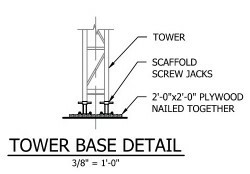 There are several questions to ask that will determine stage size and height. How many people will be on stage? Is the event outdoors or indoors? Will you require seating risers on the rear of the stage for professors and administrators? How many graduates will you have? Additionally, you need to consider the venue. For example, many high schools will use the football stadium on campus for commencement. A stage that would look huge in a small room may look tiny in this environment. Is there a game the night before or the night of? Has anyone else reserved the stadium? 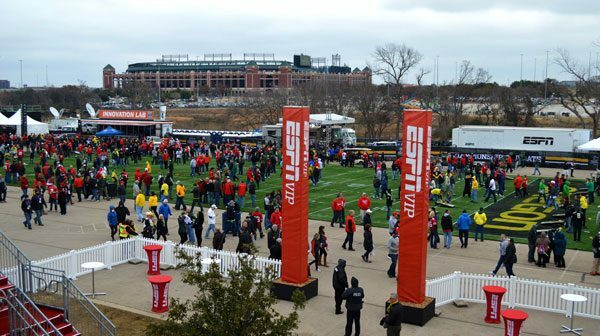 How will vendors get staging and chairs onto the field? 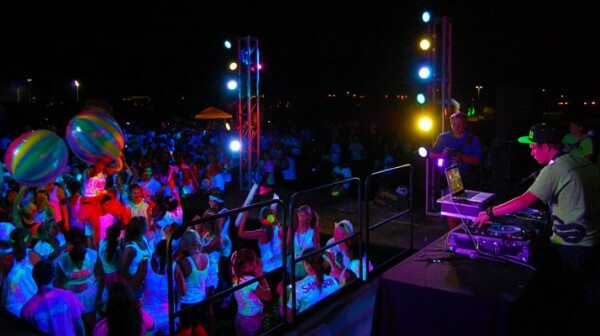 At In Depth Events, we provide large scale glow party events for corporate clients, outdoor glow runs, college events and other large events with high numbers of attendees. We work with event planners and organizers from all over the country to provide events for thousands of people. This blog post is designed for this level of event. If, however, you are putting on a glow party for a sweet sixteen birthday party, your personal Halloween party or a backyard party for your favorite 50 people – we respectfully suggest you go to Cool Glow and order for your specific needs. They have an amazing selection of glow stuff for smaller, private events. So, what is a Glow Party, anyway? There are plenty of blog posts you can find that will talk about china selection at a small, private, home-based Holiday gathering. You’ll find page after page talking about how to make your own centerpieces. I’m sure there are entire databases dedicated to the perfect napkin ring complement to your curtains and how they match your Holiday scarf. This is NOT that type of blog. 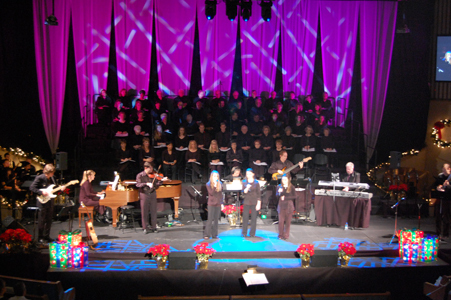 We are NOT talking about Holiday Decor here – we need Concert Production Services! LED Dance Floors are an amazing centerpiece for all types of events. Corporate parties, wedding receptions, college events and fashion events have all rented our LED Dance Floors to highlight their events. 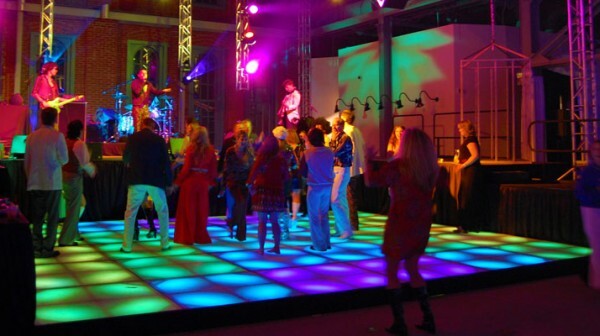 A rental LED Dance Floor can also be used as the centerpiece for a theme party such as a 70’s or 80’s party, a disco party or even at one of our famous glow parties. Whether you call them LED Dance Floors, lit dance floors or disco dance floors, the end result is the same – a dynamic display of colors that makes the dance floor – and your attendees – come alive! 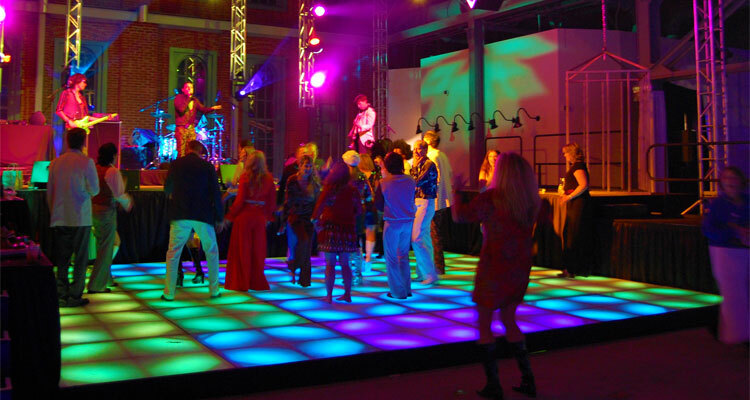 What types of LED Dance Floors are available in the event rental market today? Create an amazing look and maximize event space! A marketing firm or DMC may rent the pool deck at a hotel for an evening, open-air cocktail hour. The client doesn’t want a ‘swim party’ atmosphere; rather, a semi-formal sophisticated gathering is the goal. By covering the swimming pool with flooring, additional space is made available for cocktail rounds and seating. 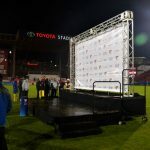 If you are an event marketing professional, then you have probably used a production company to build a custom structure for your client at an activation or trade show. Custom structures built from truss or staging can be used as elevated seating for attendees or VIP’s, gateway arches or signage towers. 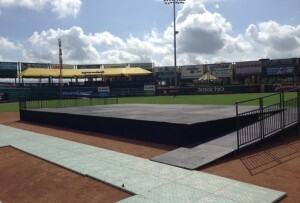 These structures can be huge show elements, massive custom stages or as small as a single piece of trussing. However, they all have one thing in common – they are subject to inspection by a city official and will need engineer certified drawings for events of this kind. Looking for a fun, exciting special effect for your live event? Use confetti – it’s a BLAST! OK, so now that we’ve got that out of the way, let’s talk about how confetti rentals work for live events. Most clients that rent a a confetti cannon are looking to either do a product reveal at a corporate event, introduce a headlining act at a concert or festival or provide a highlight moment at an awards presentation. Confetti is also used for longer lasting effects such as a prize giveaway at a store opening, a special effect during the length of an entire song at a concert or celebrating a win at a political event. Before we go too deep into the differences between blowers and cannons, lets talk about the confetti (or media) itself. Traditional confetti is small pieces of tissue paper, but you can use all sorts of other media as well. 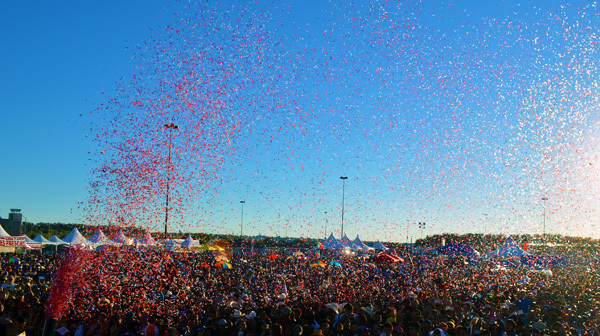 Streamers are the second most common type of confetti media. However, we’ve have clients use glitter, feathers, and even custom cuts of paper like small stars, hearts or even company logos. Confetti media is limited only by your imagination! At In Depth Events, we’ve built hundreds of rooftops for outdoor events. Whether your event is using a load bearing stage and roof system or a non load bearing stage and roof system (also called a genie roof, or a shade roof), the basic rules that apply to safety and successful use are the same. Below, we’ll go over the most important guidelines for a successful show! Vital to the process of setting up a successful event is pre-planning. In most cases, the stage and roof systems are central to the event, so it’s important to get an overhead site plan in place early in the game. Begin by placing the stage and roof in a central location, pointing away from any close residential areas. Then, you can sketch in vendor booths, points of entry and exit for audience and placement of vendor booths and port-o-potties. Once you have a working diagram, check for crowd flow.